i REALLY URGENTLY need to know this. can anyone please tell me how much this phone costs in singapore? any singaporians here? i'd really appreciate it if anyone could mention here the price of this in singapore. could anyone please tellme...the difference between the k500i and the k508i?..which 1 is cheaper?Does the k500i have a changeable cover?..what would b the market price in stores in india for the k500i or the 508i..could someone plzzz let me know..thanx! i want to know how many minutes or hour it contains for the video recording and audio recording too. I've just bought this phone and it's really cool. I just don't understand, why a picture taken with this phone looks so bad here, while on Nokia 6170 it looks much better.The same picture (sent by IR). The display parameters are the same on SE and Nokia, so why??? Can anyone explain it to me? the phone is cool , but... the design is a bit awkward ! I want to know how much is the battery's stand by time? no the k700 memory is not expandable, and there's no MMC/Mini SD/Memory Stick Duo slot. the menu is fine, the animation is fluid and no lag in whatsoever. and the k500 & k700 basically uses the same VGA camera (even the k300 uses the VGA) so i guess the image quality is the same, except that each fone has different resolution, for example the k500 has 128x160 and the k700 has larger 176x220 pixels; but both uses TFT LCD screen, not like the k300 that uses STN LCD screen and only 128x128 pixels. which has a better camera quality - k500 or k700? thnx! hi peepz!! i just have some questions in mind that i'd like to ask. is the memory of k700 expandable? i mean is there a MMC slot? some ppol say dat it has a good quality camera but others disagree. i'm confused. does the fon have the USB B port? i own a t610 fon n i noticed that it's quite low in processing. when i press something or when i go to menu, it takes about .5 - 1 sec for it to acknowledge or to respond. is the k700 like that? dat's all for now. hoping for your help peepz. thnx a lot! I see this phone has infrared but do you know if formats from other types of mobile phones are compatible....like importing pictures or mp3's ..... don't they have different formats ? !Anyway if anybody could answer this please help...and thankx ...... !!! 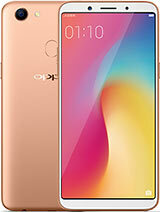 I recently bought K508i and its a good phone, but i want to know how i can download mp3 music from my PC to my mobile. I have bought DCU-11 cable, but i have Sony Ericcson CD of K700 phone. Is it going to work if i install PC suite of K700? Someone plz guide me and if possible plz mail me to my email address ie meet_vivek009@yahoo.com. Thanks a lot guys. onLy thing panels fitting Is not PropEr, pAint around Joystick wearing out AND more IMPORTANTLY sim nos &phone nos are not displayed simultaneously...!!!!!!!!!!!!!!!!!!!!!! THIS is great mobil phone.It has video and MP3.Only needs better batery. A gr8 phone with mp3,video,sound recorder and vidoe are unlimited until all the memory is dried up.Who wants to spend so much money on bluetooth. and if anybody needs so much memory why dont they buy P910 SE. In pakistan the price is 10 200 perfectly reasonable for its category. Perfect phone in every direction...I only have some small problems.Like the previous phones of that type(by Sony Ericsson) zooming the already captured pictures is impossible and one more thing- downloading 30 pics from my phone to my PC took me 1 hour and 30 min.Is that normal? Somebody plz email and help me decide between K500 and nokia 6020.How much sound recording and video recording time does k500 have at max? Is the sound recording quality as good as mp3?What is the max mp3 size? PLz help coz im confused!! !